Seeing and hearing cricket or its commentary via television, radio, and internet – does that quench our thirst of being in the field in person? Apparently, it does not. In fact, we crave to be a part of the entire pitch, not only in the form of an up-and-coming player, but also as a budding team manager. As such, though you cannot be guaranteed a place in the national team unless you earn it, you can be given a window of opportunity in the virtual realm – which is indeed on the horizon. That window is limned in the form of an app named as Cricket Career: Super League. 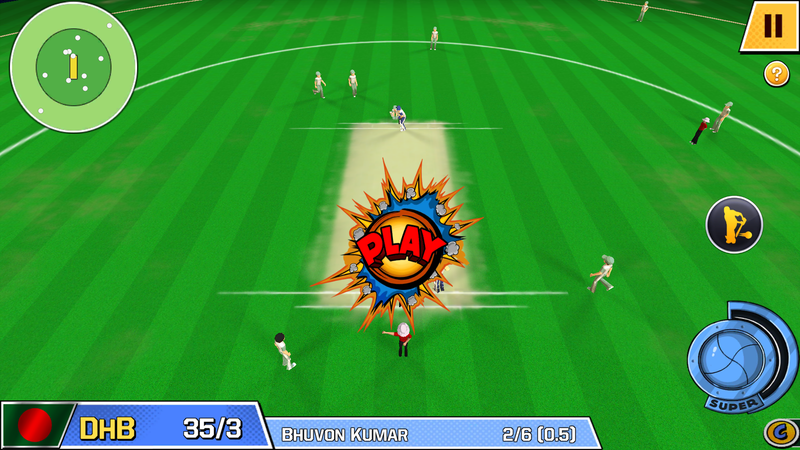 Cricket Career: Super league perpetuated the arcade gameplay in smart phones bounded by 3D frame – only one of its kind on a mobile platform. Along with it comes a new feature – management. “When was the last time I indulged in management?” – a common question that refrains us from management itself. In truth, you will learn to like it as you go through it. With exploring training facilities, trading players, and earning rewards; you will dive into the world of gaming like never before. It simulates every match in the eyes of a cricketer as well as a team manager, directing the actions of his men and seeing them hit super sixes, or be the one doing it. As you take the helm of management, you will start to realize the thrill. You will handle the team finances, engage in micro-games to boost their wages, trade players to keep your team in form and let them bat their way to triumph. The last updated version of this game was published on april 9, 2017. It is offered by no other than Zapak Mobile Games Pvt. Ltd. For compatibility, your Android version needs to be 4.2+. The game will never lag. You can download it from Google Play. For further convenience, here is the hyperlink: https://play.google.com/store/apps/details?id=com.zapak.cc.superleague&hl=en . As opposed to managers, a player will see from a cricketer’s perspective on fielding, bowling, batting and taking runs just like one’s old days when one used to hit the playing fields of school premises or the alleys adjacent to one’s houses. If you bat well, you will charge up super shots resulting in assured sixes. The ultimate goal of this game is to be the best in a global tournament among the best teams from across the world. The game includes several other impressing features. There will be 40 different teams to choose from over 18 countries. The most awestruck aspect can be caught from super sixes and super deliveries because of its unique animations. Apart from deliveries, bowling has become more intense in gaming, as you bowl as a pacer or spinner and make your opponents baffled. This game is simple, but challenging – without any apparent irony. Want to dare? Play it by nipping at your opponent’s heels.